Employee theft in the retail industry has had a huge detrimental effect and costs companies millions of pounds each year. Internal staff theft is more detrimental then shop lifting as there can be far fewer security measure in place to ensure staff aren’t stealing as they’re would be for the general public in a front of house environment such as a shop. There are many ways you can take steps to reduce and prevent further staff pilfering your stock. One method theives use which is rarely spoken about is staff lockers. Staff can use lockers to store stolen stock until a time when they deem is safe to smuggle the stock out of the premises, this could be when there is a manager shift change or handover. Another problem is that back entrances and entrances specifically for staff are rarely monitored or covered by CCTV making it a prime route for theft. So, this would be a key area to set up further theft prevention measures in the form of a camera or alarm system. So what steps can you take before this stage to reduce the likelihood of disloyal employees costing you money? Adding a range of lockers with clear doors or vision panels to your staff area will literally give transparency in the workplace. 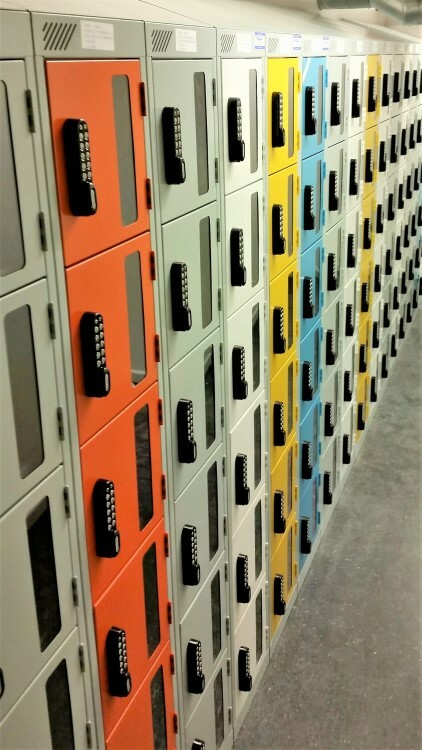 Coupled with regular locker checks via either a supervisor or a manager, this will deter would be thieves from trying to hide stolen good in their lockers and will also make compartments visible to other staff, therefore further reducing the risk of theft. Ready to reduce employee theft? You know what to do next.